by AriaMedTour at decent prices. For people of any age who are bothered by their thin hair or sagging skin, PRP injection has some nifty tricks up its sleeve. 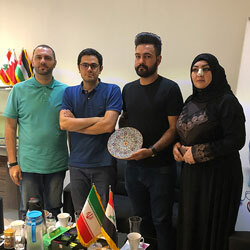 With many reliable doctors and specialists in this area and well-equipped clinics, Iran offers the best course of platelet-rich plasma therapy at a very affordable price. To depict all the details you need to know about PRP injection in Iran, we dedicated this post to elaborate what PRP is, what this procedure treats, what it entails to get this procedure done in Iran, how much it costs and the related issues. 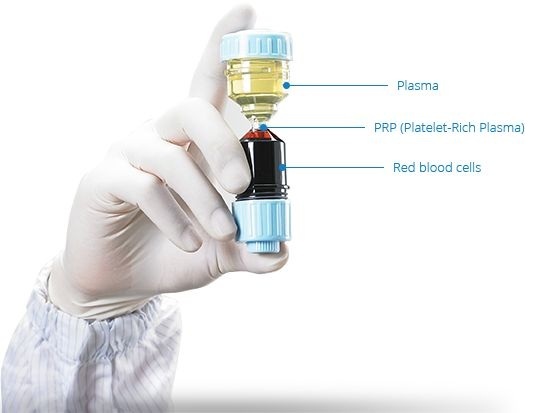 Platelet Rich Plasma therapy or PRP is one of the most common non-surgical procedures in the cosmetic field. In this procedure, blood platelets are used to stimulate cell growth. This therapy has magnificent results both on the skin and hair. For skin, it helps to improve the color, tone, texture, and appearance of your skin. To put it in a nutshell, it promotes tissue repair and collagen production. In hair loss treatment, it stimulates hair follicles, thickens thin hair, increases hair count, and promotes new hair growth. PRP therapy is beneficial for people of any age. Young patients can notice improvements in their skin quality, and the elderly can target areas with signs of aging. Platelet-rich plasma is injected into your skin and hair to stimulate cell growth. Further to the above conditions, recent studies have found PRP injection to be effective in addressing various injuries such as chronic tendon injuries, muscle injuries, knee arthritis, and the like. Is Iran a Good Place for PRP treatment? 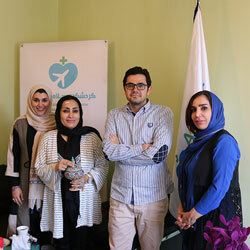 As a reliable destination for getting a cosmetic procedure of any sort, Iran has much to offer. 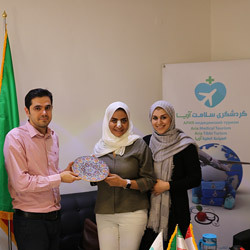 From high-quality treatment and affordable pricing to an exceptional holiday trip, the list of the merits of Iran never seems to come to an end. One thing you may, first of all, wants to make sure of is the quality of the healthcare you’ll receive here. 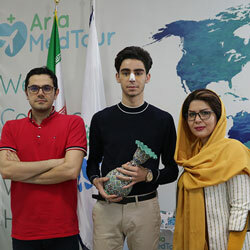 The fact that you get high-quality medical service in Iran is exactly what our foreign patients refer to when they speak of their experience in the country. With a lot of modern beauty clinics specialized in the skin- and hair-care and the great number of experienced doctors in this area, there won’t be any concerns left regarding your treatment. The PRP injection is done in Iran using a very precise and individualized approach, giving more natural and satisfactory results. Another deciding factor you may consider when exploring your options is the cost. The cost of getting a cosmetic procedure like PRP injection in Iran is lower than the cost you’d have to pay in other countries. Our PRP packages provide you with the lowest possible price without compromising on the quality or outcome. The PRP injection is done in Iran based on an individualized approach, giving more natural results. Each PRP treatment session costs from $100 to $200 in Iran, depending on the area which needs to be treated. It means that if you need 6 injection sessions, you’ll be charged from around $600-$1,200. The same procedure in the USA, however, costs from $500-$2,000 (for multiple sessions). How is PRP injection done in Iran? In this method, between 10 to 30 milliliters of the patient’s blood is centrifuged for about 10 minutes. Once red and white cells are separated, the rich platelets are extracted and injected into the skin. The therapy is done by applying local numbing cream on your skin for about 40 minutes. Then you will receive a very tiny injection in the areas in need of treatment. The whole procedure takes 1 to 2 hours. Based on the patients’ needs, the surgeon might decide to combine PRP with other rejuvenating treatments. To get the optimum results, 3 to 6 treatments at 4 to 5 week intervals are required. PRP treatment recovery – What to expect? There’s no downtime for a PRP procedure as there is no allergy or rejection after the injection. Mild itchiness may be expected for the first two days after the therapy. Mild swelling, redness or heat is also expected on the areas which receive the injection. Bruising is also possible, but it fades away within a few days. The first noticeable result of the treatment is an improvement in the skin elasticity. Then, the skin begins to alter and improve in terms of tone and texture. The final results will appear within two weeks. If the treatment is done on your scalp, you may expect to see the first hints of improvement on your hair within a few weeks after the procedure. However, it will take from around 3 to 8 months to see the full results. 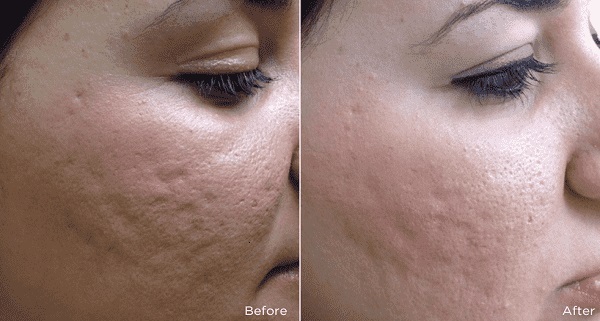 See the results of PRP therapy on our patient’s skin! PRP and mesotherapy are newly-introduced non-surgical procedures to treat alopecia, hair loss or hair thinning. PRP uses the patient’s own blood to promote hair growth. Mesotherapy uses a nutritious solution which stimulates hair follicles of the scalp. The results of both procedures are natural and long-lasting. They both have no or short recovery period. The only difference is that mesotherapy may cost a little bit more than PRP treatment. All in all, depending on your condition and need, your doctor can advice you of the best method. PRP injection is considered a safe treatment option for those suffering from hair loss or skin aging. As there’s no anesthesia or surgery involved, the risk of adverse reaction to anesthesia and scarring are eliminated. However, a few side effects may happen after the procedure. They include infection, nerve damage, nausea, etc. The said problems are rarely observed and in case of occurrence, they can be managed easily. As mentioned in the recovery section, PRP treatment does not involve a certain recovery period. You may only experience some level of discomfort within a few days after the procedure. During the injection, however, patients feel mild to moderate pain which is reduced by applying a numbing cream prior to the treatment. The number of PRP sessions each patient needs depends on the patient’s need and condition. Usually, patients need 3 sessions to get the most desirable results out of their procedure. In severe cases, up to 6 sessions will be required. PRP results for skin or hair are not permanent. Usually, the results last up to 1 to 2 years. Therefore, people need to repeat the procedure every two years to maintain the results. Is PRP injection effective for hair loss treatment? This procedure is proved to be very effective in treating hair loss. 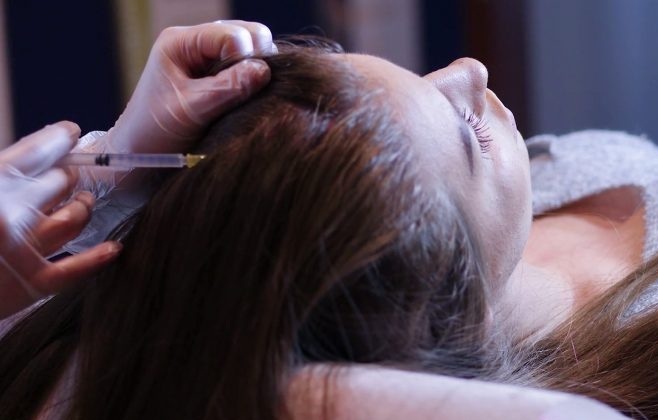 According to studies, PRP injection increases the diameter of the hair, accelerates the blood flow through the scalp, and has significant effects on hair growth. To achieve the best results, you may be recommended to take several injections (around 3 sessions). How can I get my PRP treatment arranged in Iran? If you’re considering to get your PRP done in this country, we at AriaMedTour are ready to help you get through this journey easier. From getting a visa to booking your procedure, we do all the arrangements for you. You just need to fill in the above/below contact form or send us your message via the chat icon appeared at the right corner of this page, and we will take care of the rest.